As George R.R. 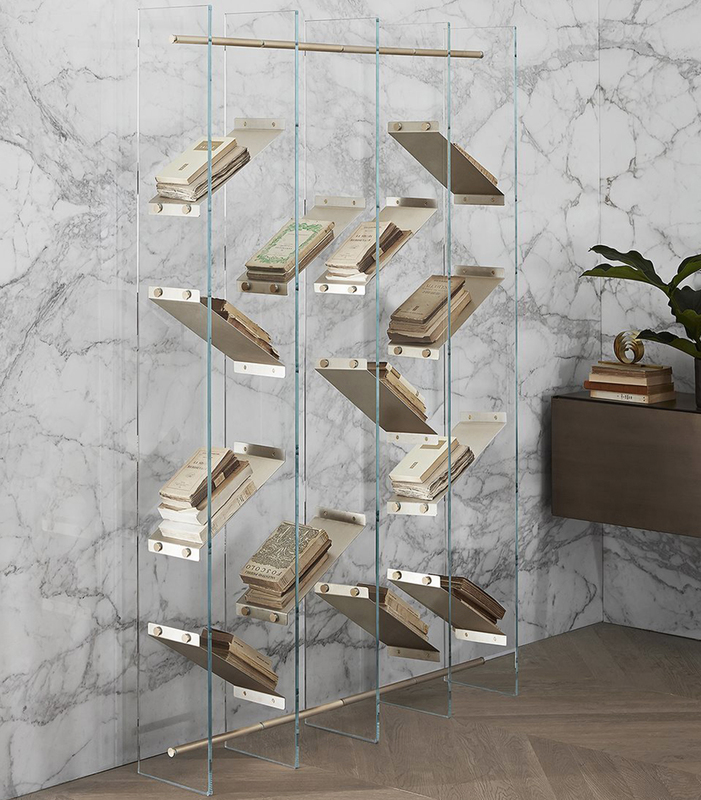 Martin (in his usual morbid style) says “A mind needs books as a sword needs a whetstone, if it is to keep its edge” Inspired by the same, we all agree that books deserve their own place of honor and these bookshelves will do justice to every book. 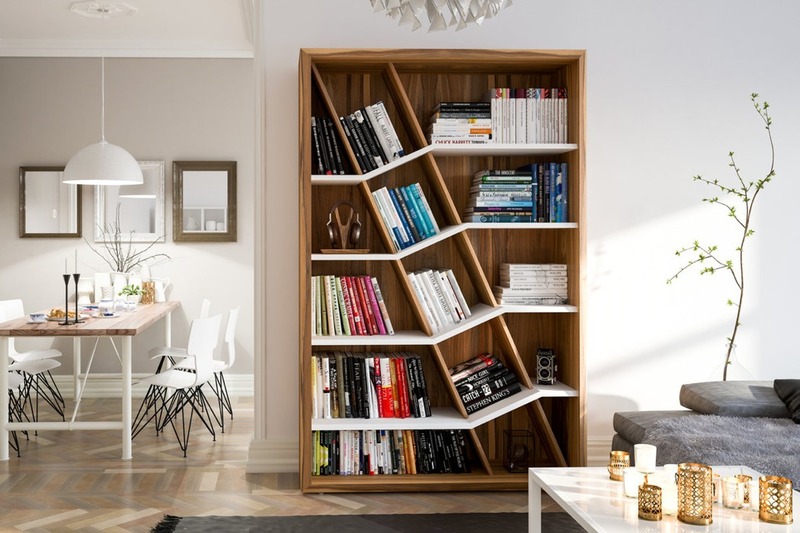 Our collection of the best bookshelves brings you designs ranging from bookshelves that break the mundane vertical shelving systems, interactive designs that rearrange to make space for your books as well as shelves that seem to be afloat in space to help you get inspired and innovate. 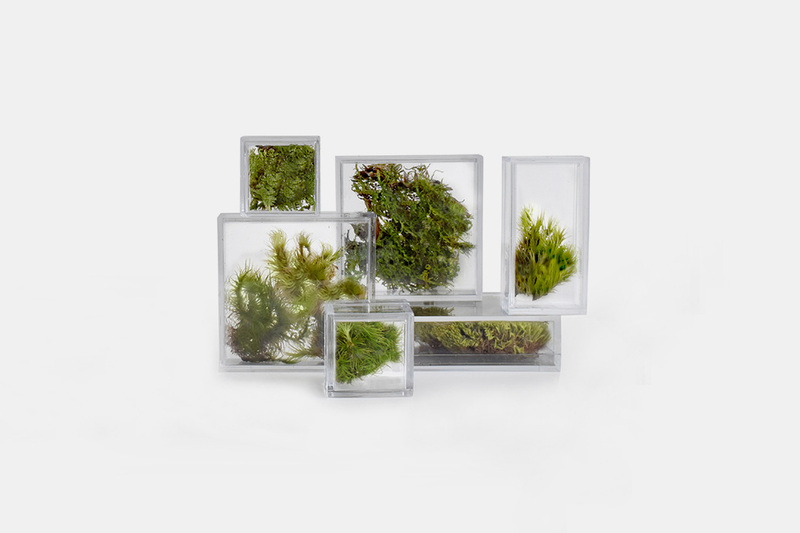 Just about the size of a matchbox, these acrylic cuboids contain a living, breathing, self-sustaining terrarium. 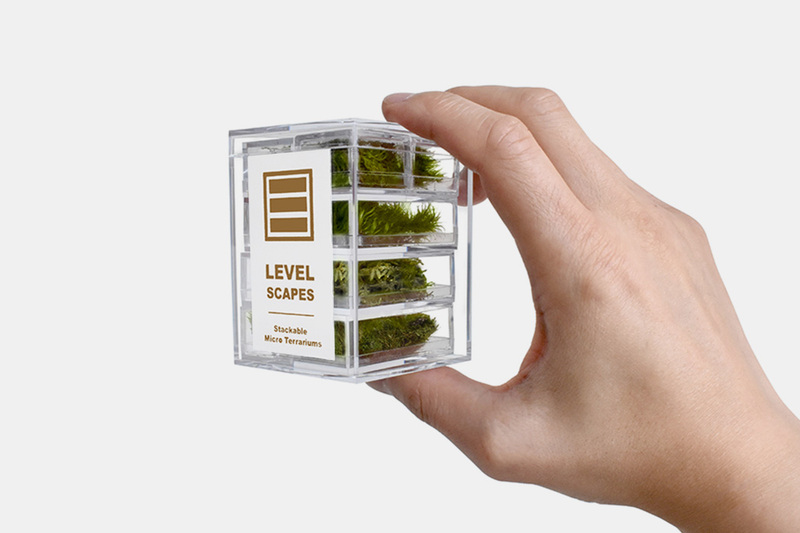 Designed to be conveniently compact enough to be placed anywhere, the Level Scapes are a great way to bring a bit of nature with you anywhere. Not just a simple plant but a real natural floral habitat. Terrariums are wonderful micro-habitats that have a knack for surviving on their own, replenishing their needs, living in harmony, like a miniature forest. Just a touch of water and a few beams of sunlight and the terrarium is capable of self-sustaining. 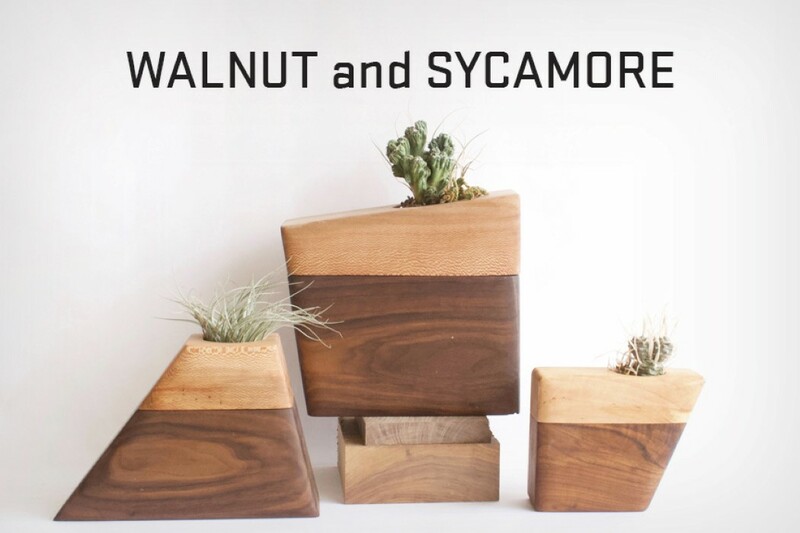 When stacked together, they’re a great alternative to potted plants, as they’re compact, resilient, and easy to maintain. 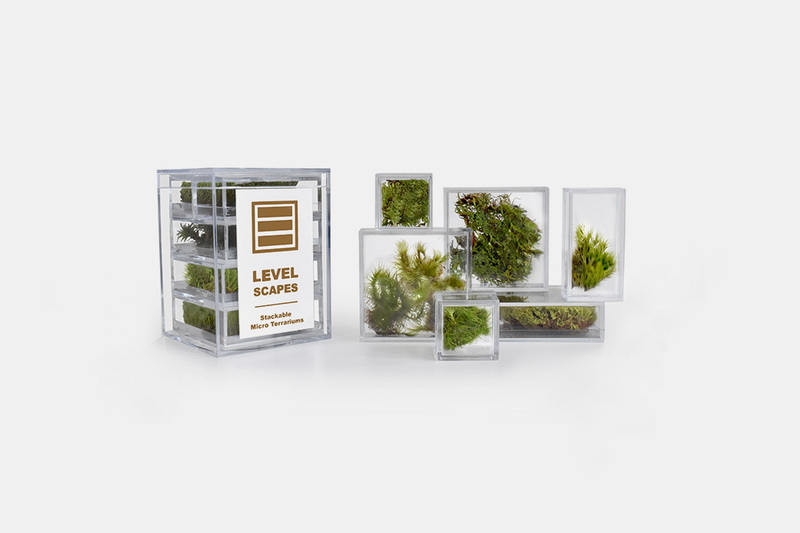 Terrariums often occupy a couple of square-feet of space… Level Scapes manages to fit them into palm-sized boxes that you can easily place on your table. 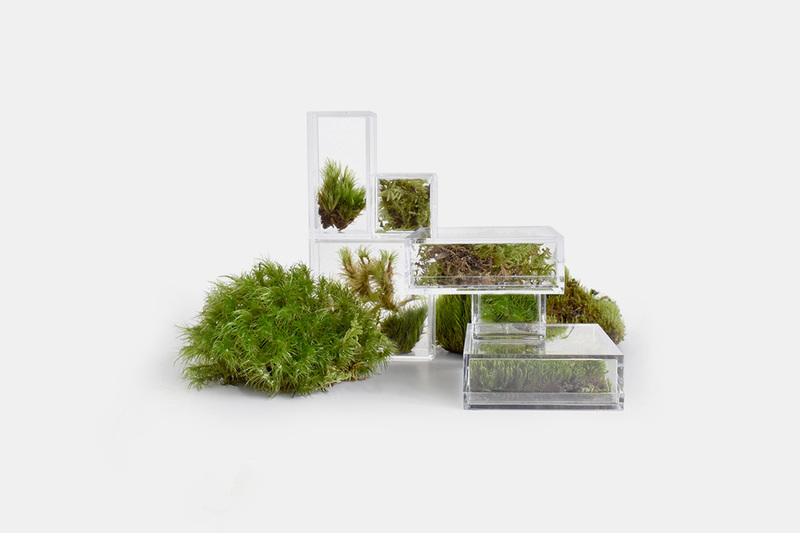 Housed inside an openable acrylic box, which acts as a greenhouse, these tiny ecosystems can be placed singularly, or even in groups, stacked one upon the other like play-blocks. Unlike plants that require care (because they’re being made to exist outside their natural forest-habitat), terrariums are, in fact, habitats in themselves. 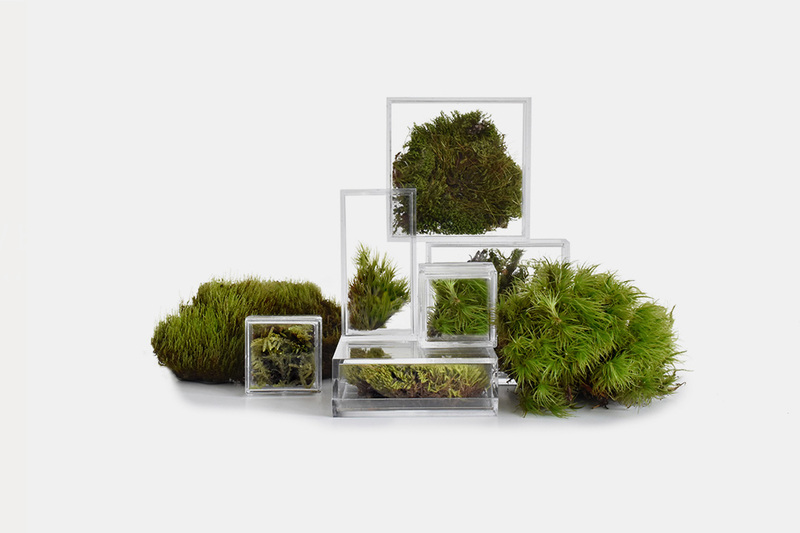 Made up of a variety of mosses and ferns that can live and sustain well within their closed environments, taking care of terrariums is incredibly easy. The Level Scapes just require a moderate amount of sunlight per day, and a few drops of water every few days or so. The closed-acrylic setup is almost like a greenhouse, retaining moisture to create the perfect temperature and humidity needed for the plant to grow. In their compact form, the Level Scapes are a wonderful way to give yourself (or even someone else!) the gift of nature. 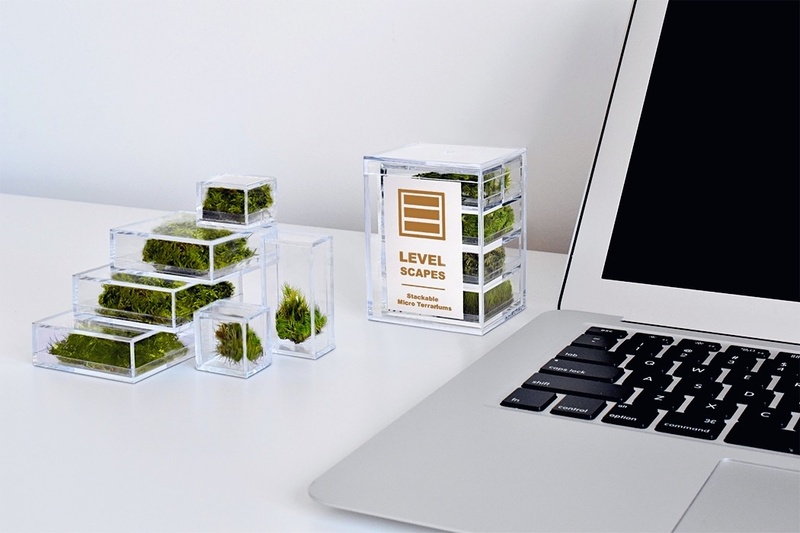 Great to cherish and easy to maintain, these tiny, playable, stackable blocks add a touch of living greenery to your desk that beats a bonsai or succulent as they are way more interactive and fun! “Our window is a magic frame, with pictures never twice the same” – Eleanor Hammond. Before televisions crept into our lives, windows were where we consumed content. Whether it was the classroom window, where you’d stare out to see the kids playing on the grounds, or a window at home where you’d sit every morning having your cup of tea or coffee, or even the window through which you’d peek at your neighbors fighting, laughing, or having a party. 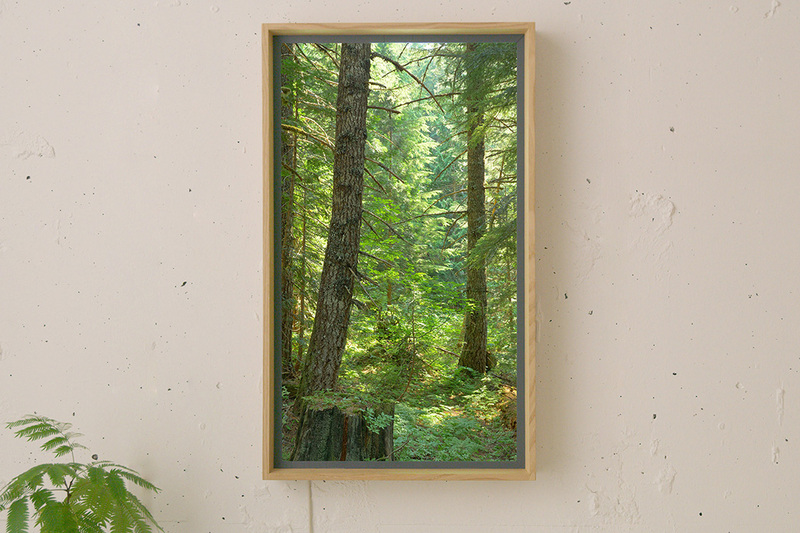 The window has always been a magical portal, allowing us to look at people, animals, trees, birds, sunrises and sunsets, and the occasional rain-showers and snowstorms. That window now overlooks a concrete jungle, and nobody looks out of it anymore. The scenery has been replaced by the gray and the mundane. Atmoph wants to change that. The Atmoph Window 2 isn’t really a window, but it behaves a lot like one. 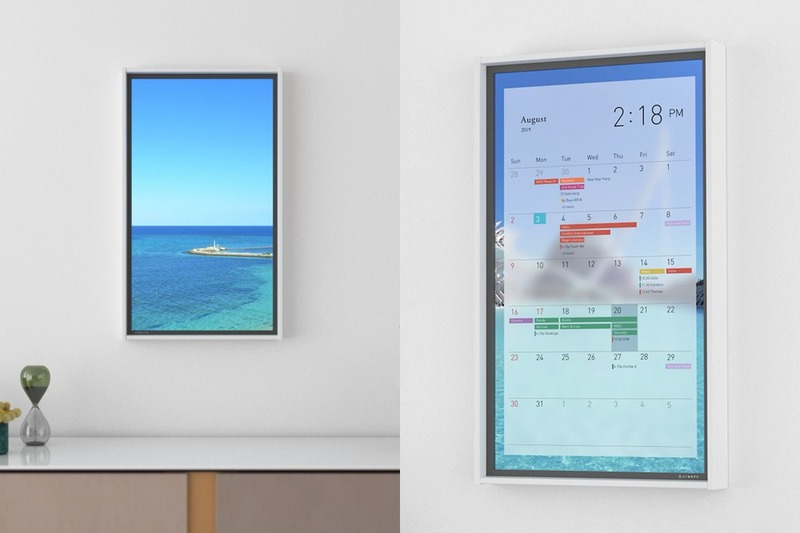 This smart high-definition display is capable of quite a few things, including playing from a library of a 1000 videos of sceneries that you’ll love. The View Store at Atmoph Window 2 consists 4K footage from Earth, seen from ISS to Amazonian rainforests to Parisian lanes, and from Hawaiian beaches to a view of the snowy peak of Mount Fuji, and its display with vividly accurate colors literally transports you to wherever you want… so no matter where you live, you can always have a view of the Eiffel Tower, or of the whitewashed neighborhoods of Santorini, Greece. All of Atmoph’s videos are filmed using a 4K camera and a hi-end microphone, so its library of audiovisuals are completely the real deal. 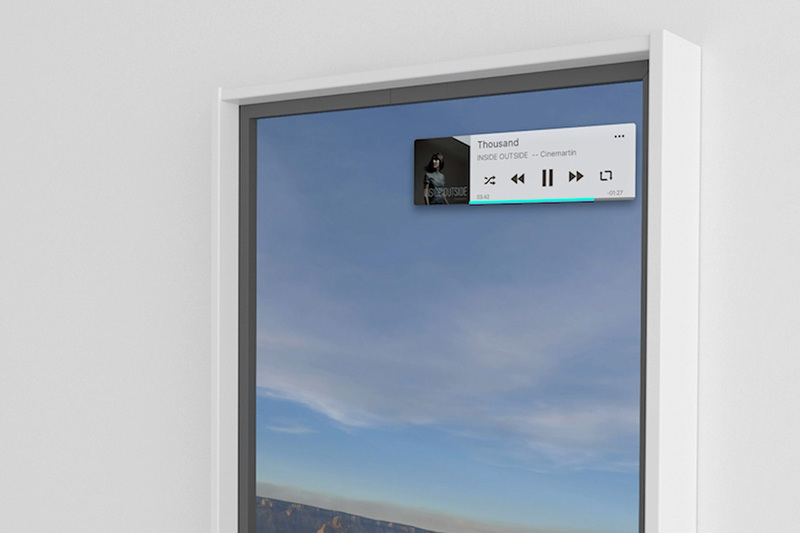 The Window packs a vibration speaker that allows the entire display to pump out audio. 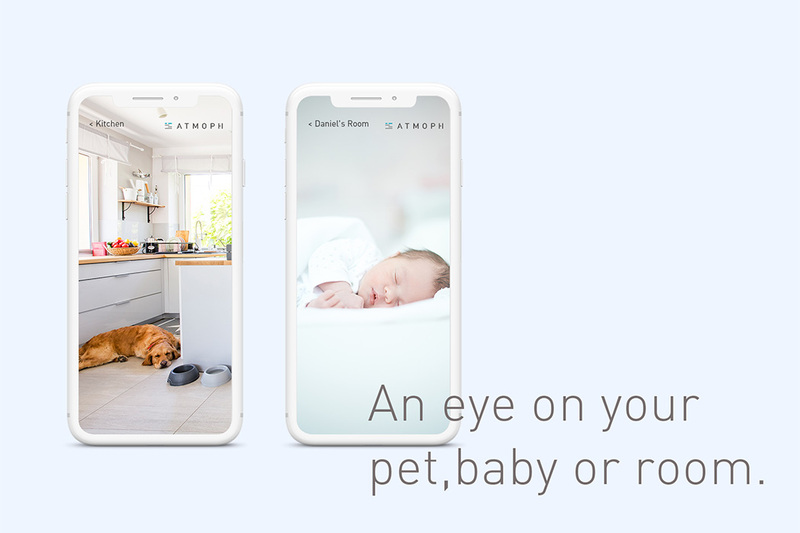 Atmoph even goes the distance and packs facial-tracking into its visuals, so the scenery shifts as your head shifts around the room, accounting for even parallax. The facial-tracking is courtesy a camera that also works as an indoor camera when you’re away, or when you want to keep an eye on your pets. 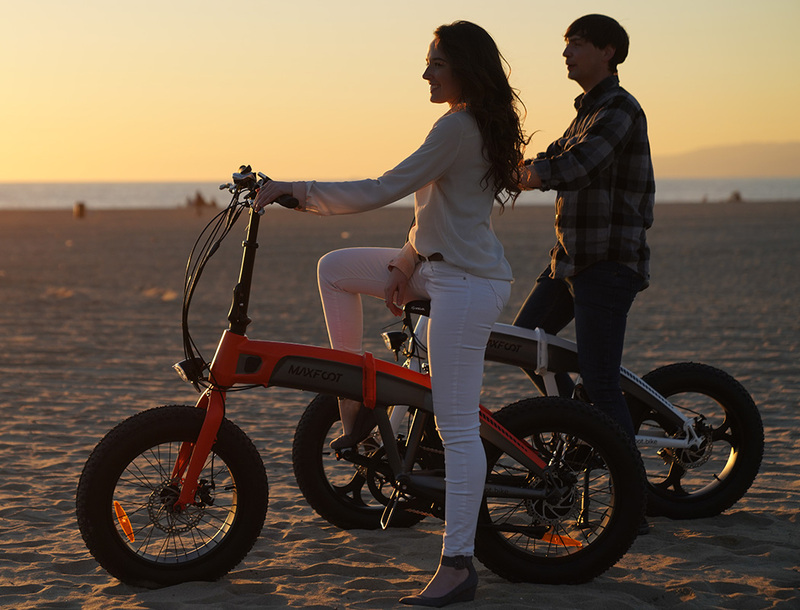 The Atmoph Window 2 is the perfect example of a product that’s absolutely unique, even though it uses technology and hardware we’re so familiar with. 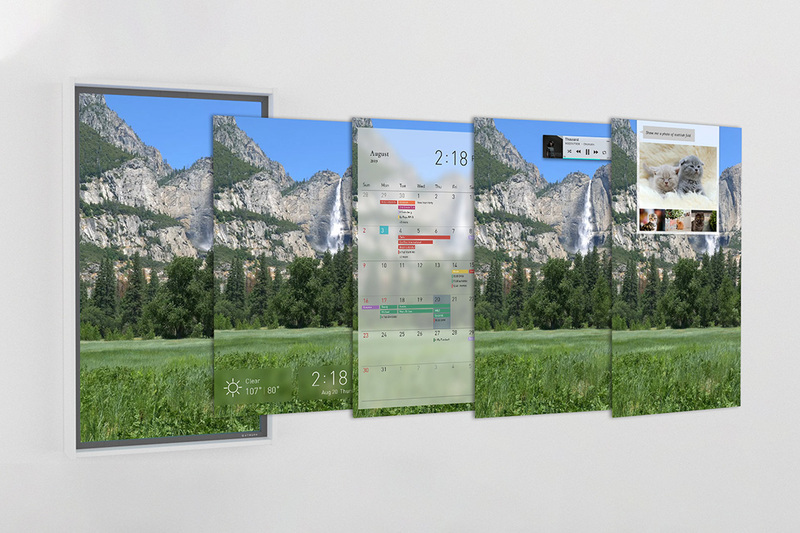 The scene-shifting smart-window also displays the time, weather, as well as your calendar tasks, keeping you in touch with reality as you stare for hours into the Finnish Laplands, and even comes with Google Home compatibility, allowing you to execute simple voice tasks like “Hey Google, show me Hawaii and play some Hawaiian music”. Not happy with just one Atmoph Window? You can pair as many as THREE Windows side by side to display the same image in continuity (even accounting for the space between individual frames). The idea behind the Atmoph Window 2 is so simple, pure, and well-executed, it wins my heart. Giving you the ability to transform your interiors with a simple touch of a button or a voice command, the Atmoph Window 2 is a great way to escape the boring concrete life and live in the place of your choosing… perhaps your last holiday spot, or your hometown that you fondly miss, or a suitable scene to match the cuisine you’re eating (extremely effective on date nights, I’d assume). 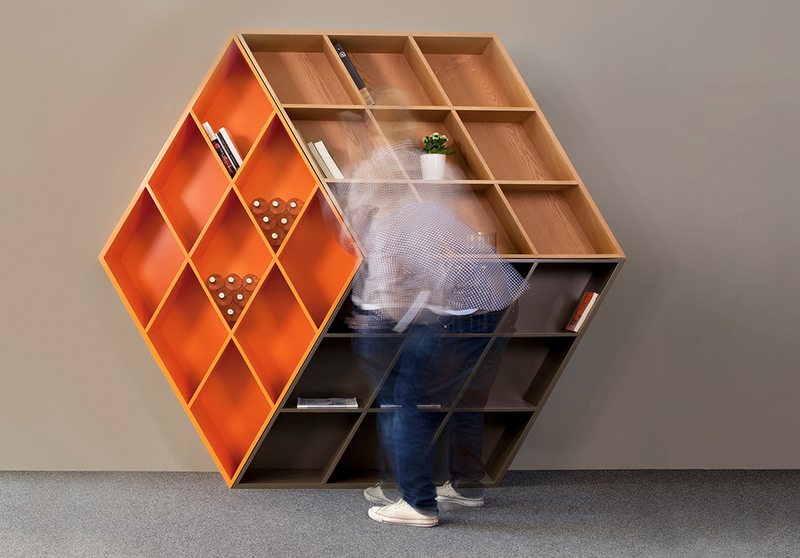 Oh, and if the library is missing something? You can directly beam videos of your own to the Window 2 too! Click Here to Buy Now: $299 $399 (25% off). Hurry, for limited time only! What is Atmoph Window 2? 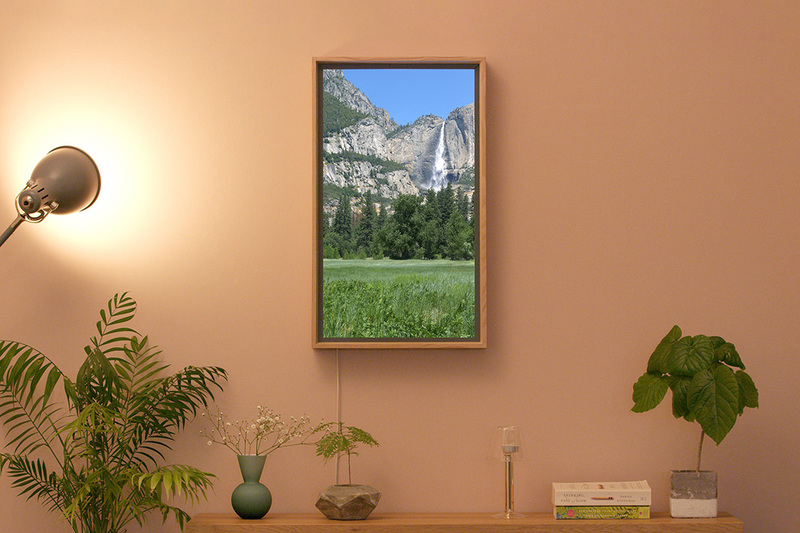 Atmoph Window 2 is a smart display in the shape of a window, from which you can see scenes from around the world. 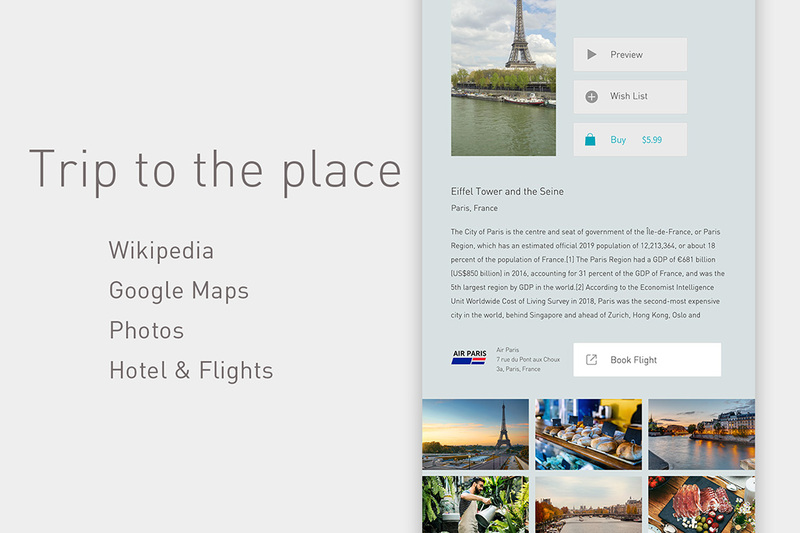 With over a thousand videos of beautiful scenery from around the world, complete with audio, you’ll feel as if you’re actually there. 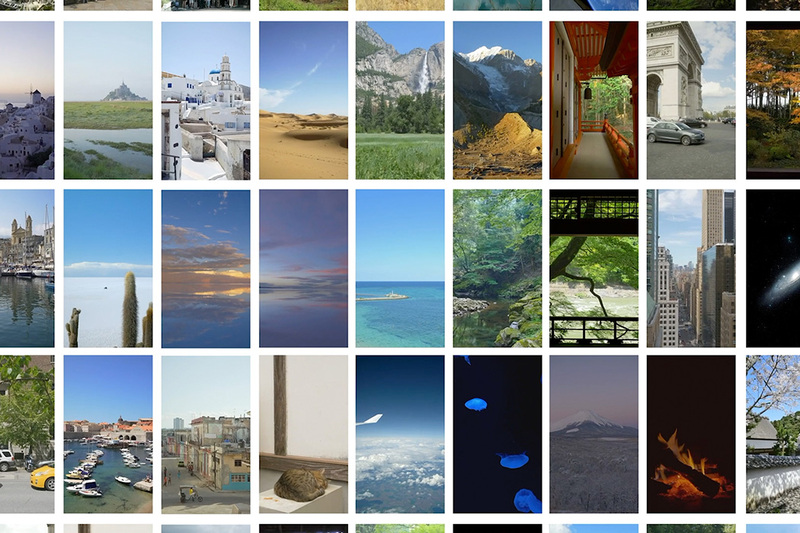 Enjoy scenes from around the world in 4K ultra-high resolution. Together with true-to-life sound, you will feel like you are really there. Each looped video lasts around 15 minutes, and only costs about 5 dollars (ten fixed views are installed initially). Every month their dedicated videographers shoot new scenes, so the choice only gets bigger. Not only can you relive that unforgettable time, but you can share it with your friends and family. A nostalgic place, or that once-in-a-lifetime journey. Join three Atmoph Windows together to make a synced Panorama. A fish can swim along from left to right, a boat can take off from the port from one side, and head out to see on the other. See what’s going on in the world in real time. They plan on increasing the number of camera spots, so you can enjoy the ‘now’ from locations across the world. 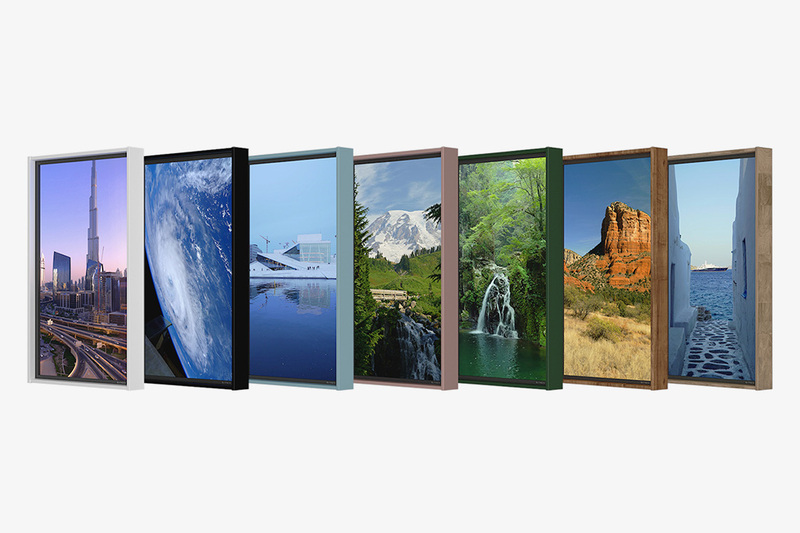 You can choose from high quality resin frames in five different colors, or a supreme quality timber frame that has been made to bring out the inherent warmth of genuine wood. 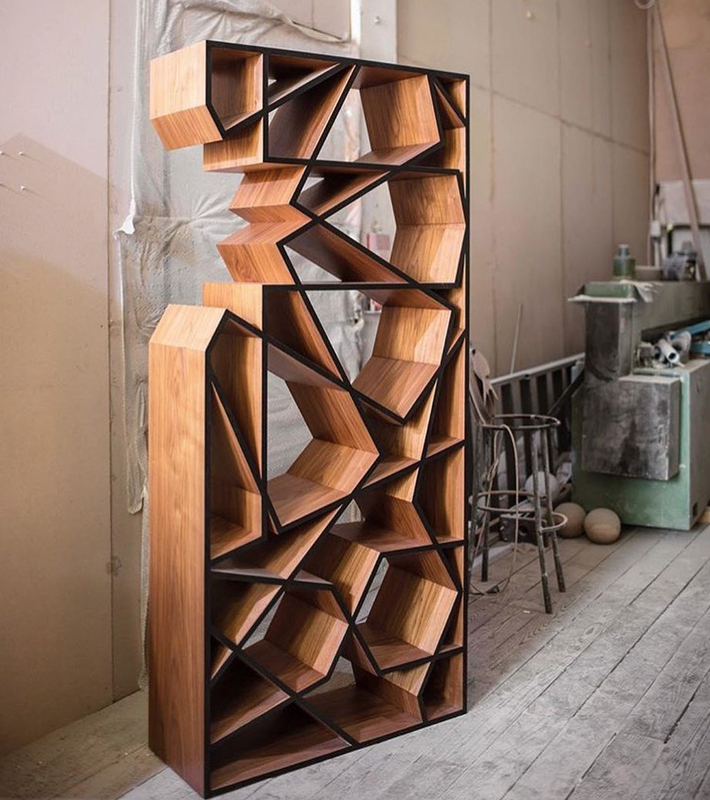 This wooden frame has been custom made by Japan’s premier long-standing traditional wood furniture maker, Karimoku. 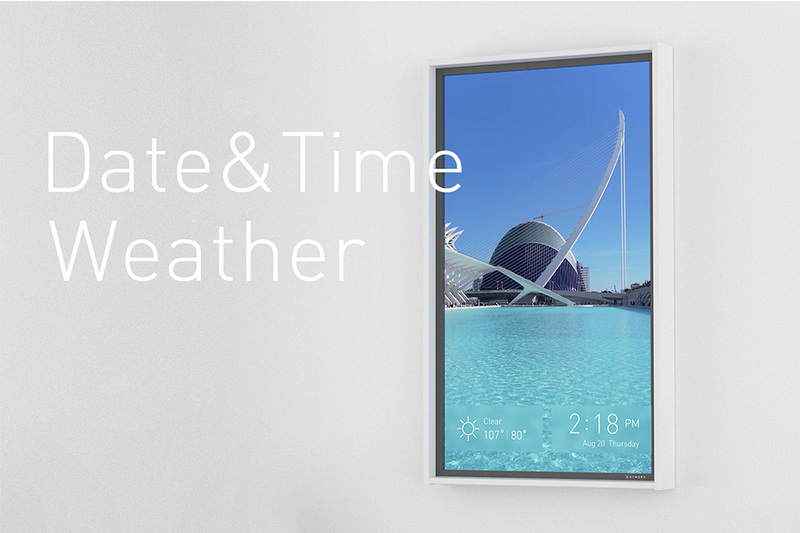 Atmoph Window 2 has all the best qualities of a real window, with all the excitement of a smart window. By including various additional modules such as the Camera Module, Atmoph Window 2 can even do things that normal windows can’t. With the Camera Module option, Atmoph Window 2 can track the position of your face using the camera, so it knows what angle you are looking at your window from. The scenery changes accordingly, making your view look even more real, more three dimensional. 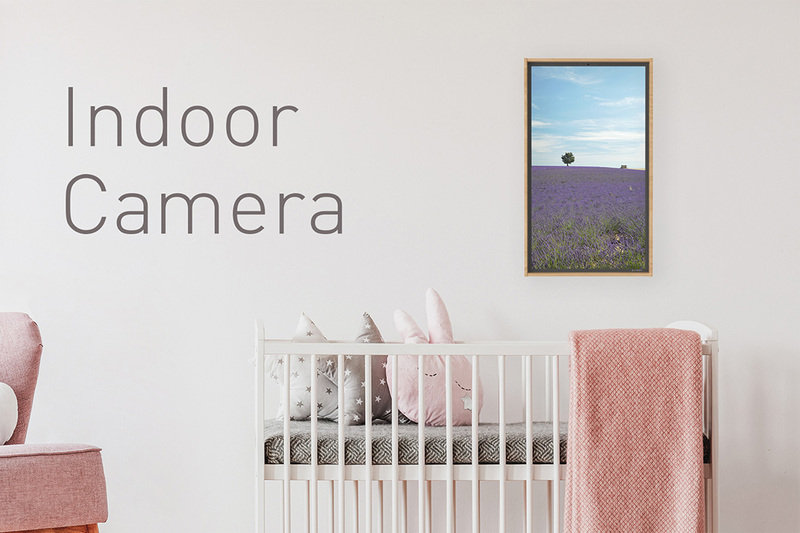 With the Camera Module, you can check the inside of your home even when you aren’t there. 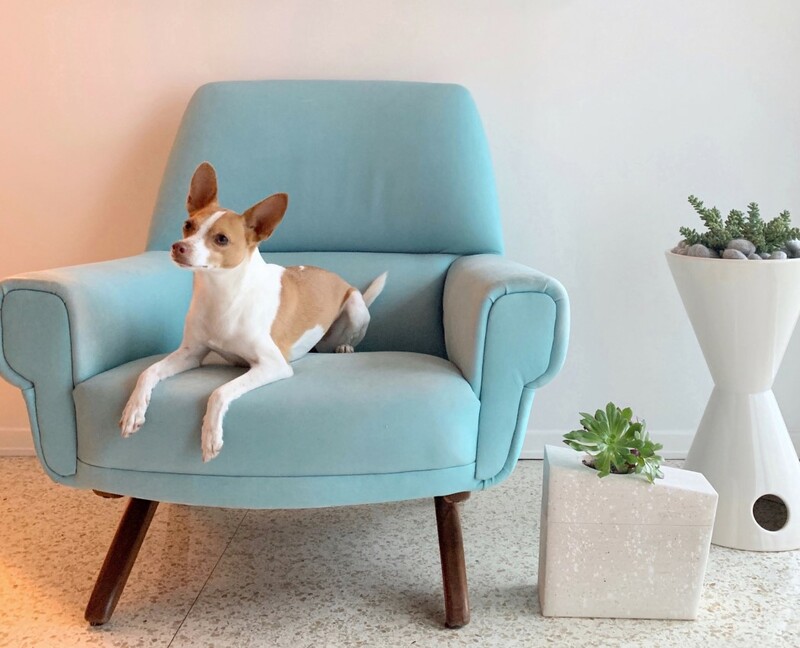 Want to see how your pet’s doing? 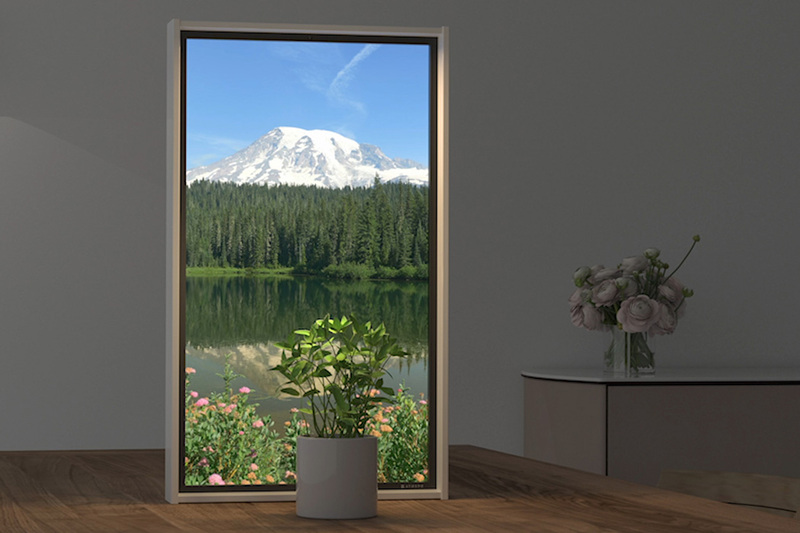 Your smart phone can turn into a small window that allows you to glimpse inside your home when you never could, up until now. Attach the LED Light Module and it’s just like having that light stream in. Not as bright as the sun, but just enough to help your pot plants grow. 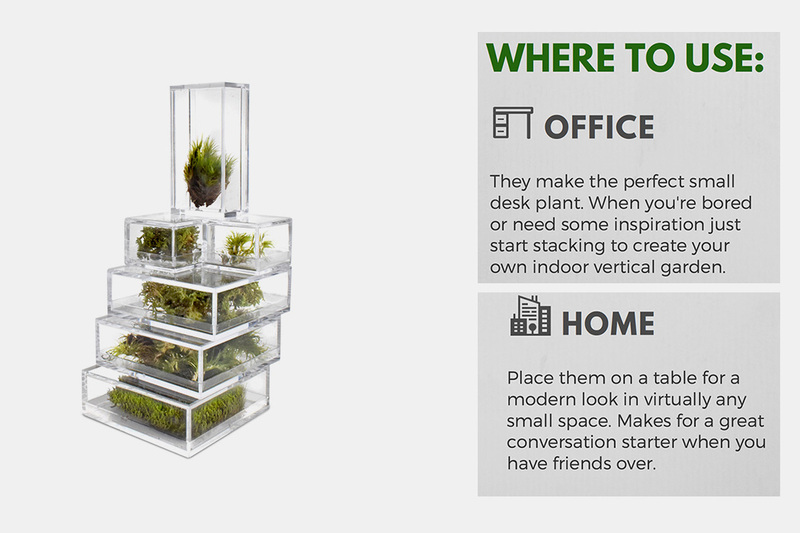 How about relieving that stress with an indoor garden? You can also operate your Atmoph Window 2 through your smart speaker, change the view or adjust the volume. Don’t want to get off the couch? Got your hands fully tied? Just tell your Google Home ‘Hey, Google, change the view to Hawaii’, and the view will transform into a tropical paradise. Brighten your mood in just one moment. 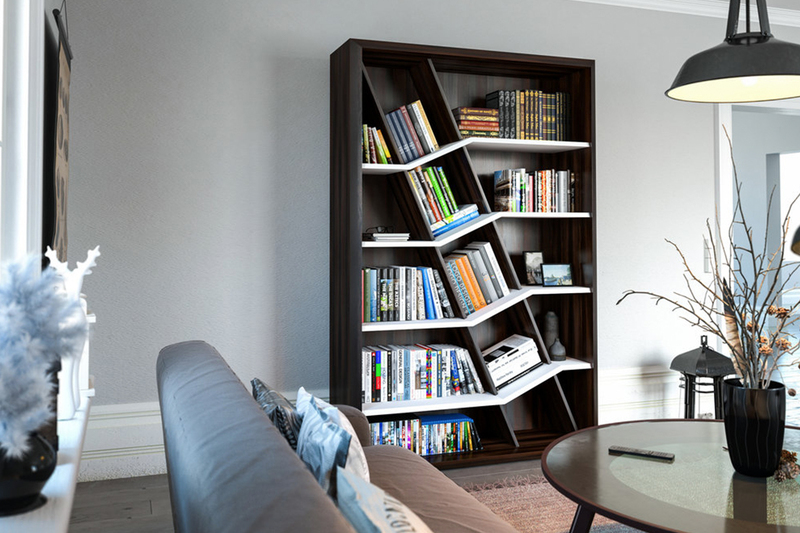 An increase in the number of interior speakers from one to two also means you can enjoy more surround sound. Moreover, Atmoph Window 2 is equipped with a vibration speaker, turning the entire screen into a sound experience. From high pitched birds to the thunder of the Niagara Falls, everything sounds truly real. With Bluetooth or Spotify, you can choose your playlist together with whatever view you like. Enjoy your “me time” to the fullest. It’s your busy morning, and you want to check the time, the weather, the news. Atmoph Window will tell you what you need to know. There is no need to have multiple devices any more. You can check everything, at a glance. 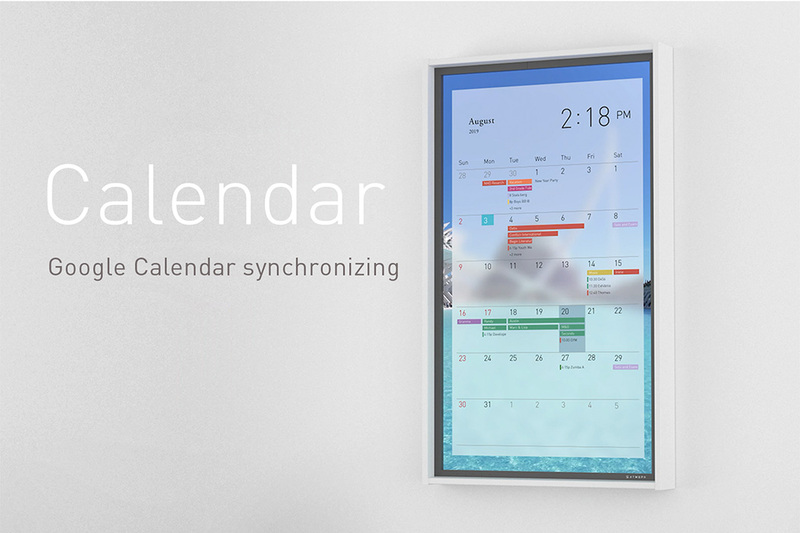 With Google Calendar synchronizing, you can confirm your work and your family’s schedule, and it’s so big and easy to see. Now that’s convenience! You can book a trip to the other side of the window, any time! 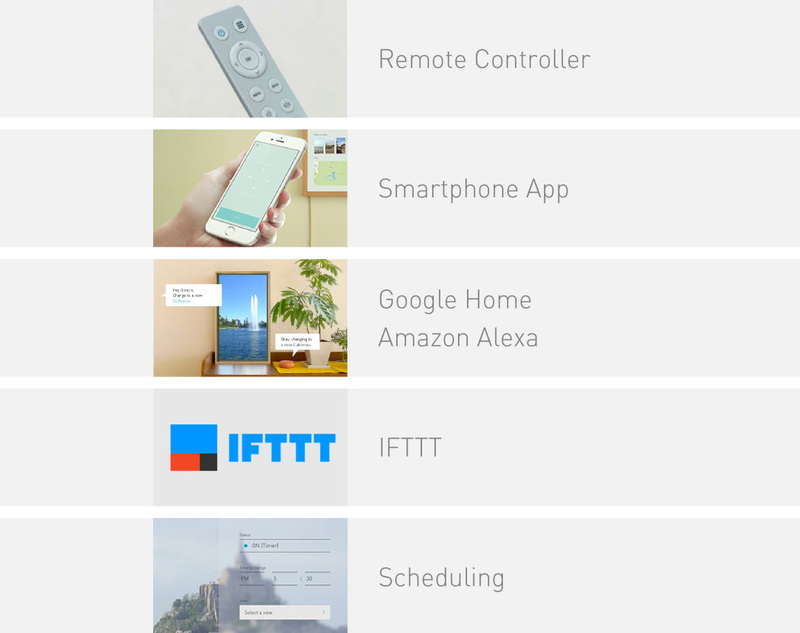 From the smartphone app, to the remote control and sensor, and even automatic scheduling, there are multiple ways to operate your Atmoph Window 2. 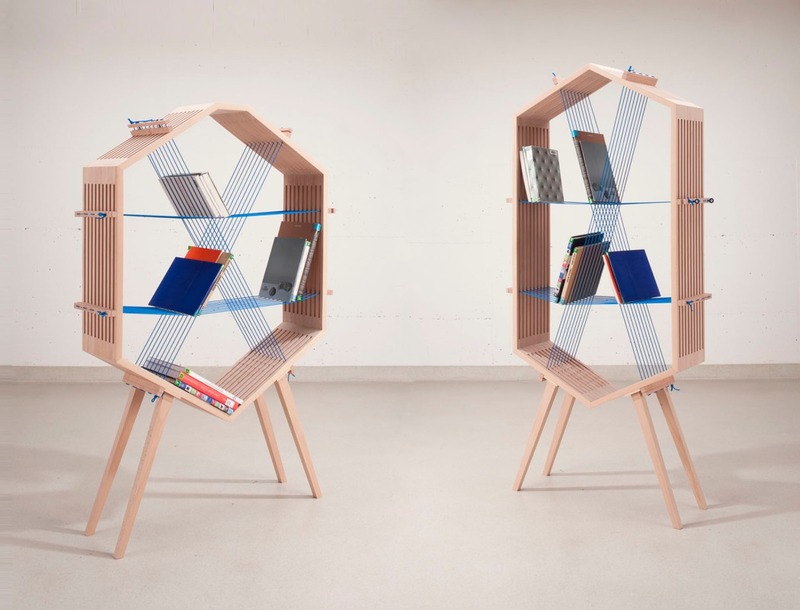 You can even change the inside frame of your window. Adjust it to suit the view, or there are different Decorations to suit the season. Feel like you are at a Halloween party or inside a plane. 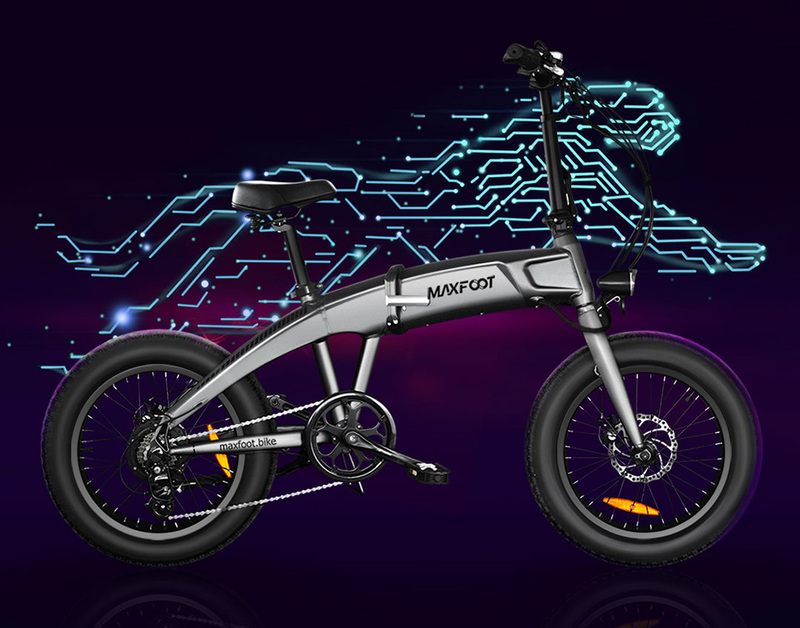 Click Here to Buy Now: $299 $399 (25% off). Hurry, only a few left! The most perceptively different and touching aspect about the Planturn is that it isn’t a painful, traditional reminder of the passing of a loved one. When a friend’s father passed away, C.C. Boyce was asked to create an urn when her friend couldn’t find anything unique or memorable. C.C. did a bit of research only to learn that the cremation vessel market lacked a bespoke touch. She went on to design the Planturn, half cremation urn, half planter. Designed as a celebration of life, rather than a grim metaphor for death, the Planturn is something that brings joy, not sadness. 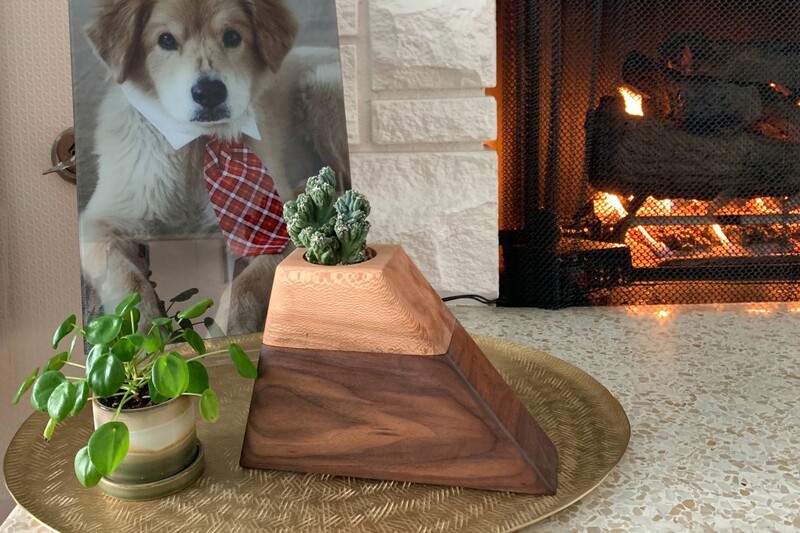 Made with two halves that snap together magnetically, the Planturn holds ashes in its lower half, while the upper half (separated from the ashes) serves as a planter, holding a plant in the memory of your loved one. Needless to say, when C.C. 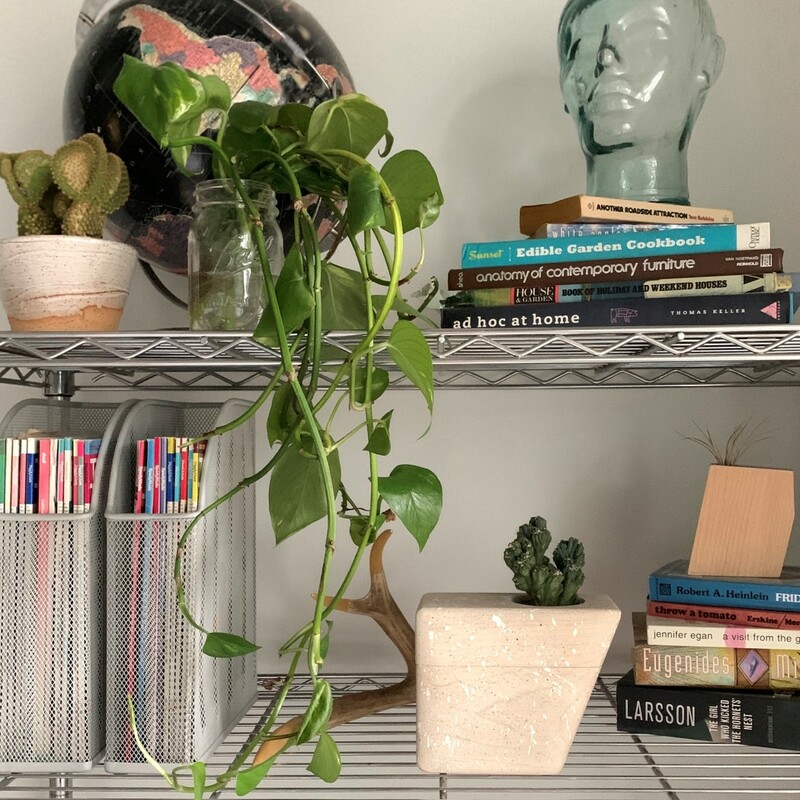 posted a picture of the prototype urn she made for her friend, she was flooded with requests from people who wanted the memory of their loved one to live on vicariously through a plant, rather than sit inside an urn on a mantelpiece. This sparked the birth of the Planturns… vessels that embody life after death. The Planturns come in two finishes, a speckled maple wood that’s white and pristine, and a sycamore and walnut wood that elegantly shows off the two colors of the woods. 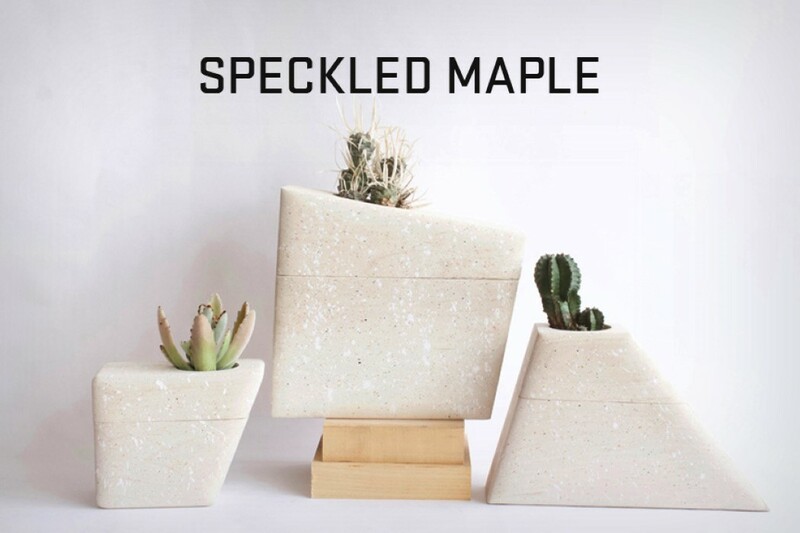 The urn, split into an upper and lower half, unites using rare earth magnets that strongly hold it together, making sure the urn stays intact even if knocked over by accident. 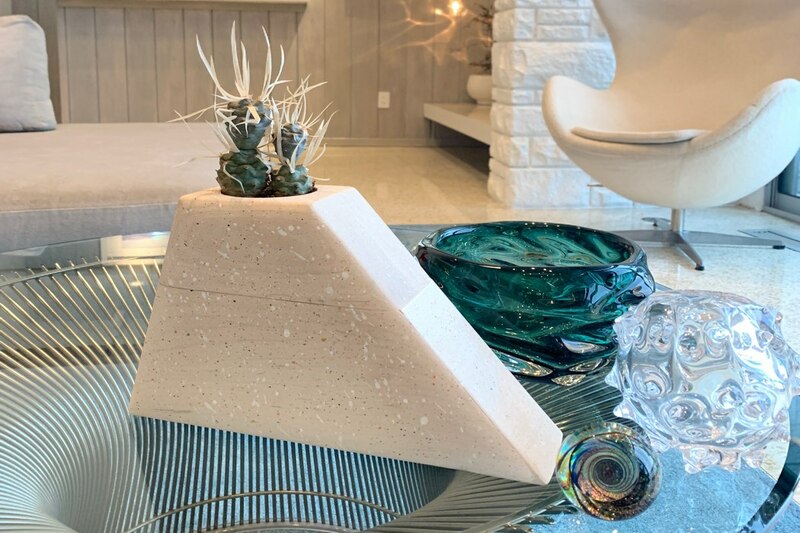 The Planturn comes along with a glass vessel that holds a plant (a bonsai, shrub, or succulent), while a muslin bag carries the ashes in the Planturn’s base. The urn comes in three sizes, from small to medium and large, with bases that hold different volumes of ashes. 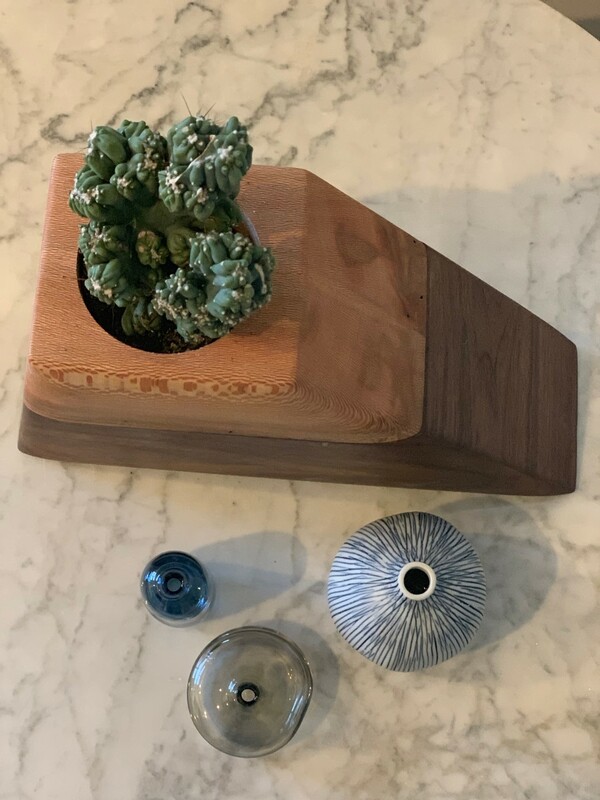 Designed to beautifully complement the spaces in which the urns are kept, as well as honor the memory of the passed, the Planturns evoke happiness and remembrance. Traditional urns can often be painful reminders of the passing of a loved one. 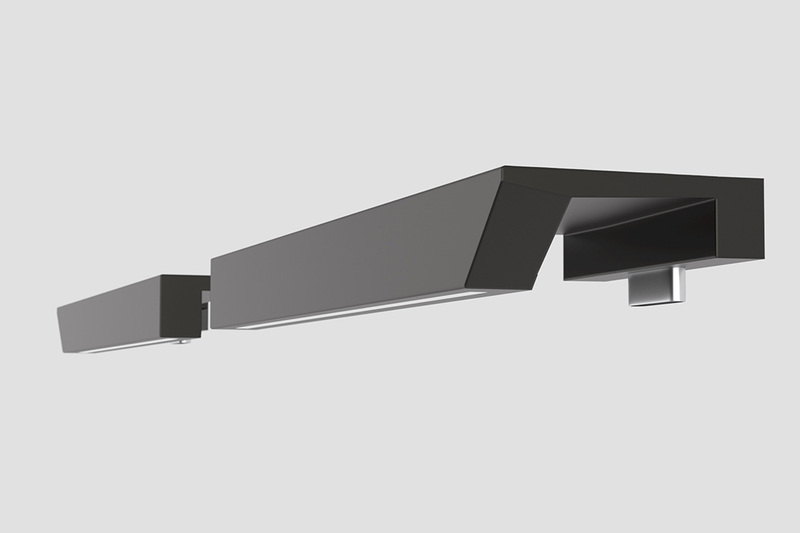 The Planturn, on the other hand, is a beautifully designed object that focuses on life, love, and everything in between. 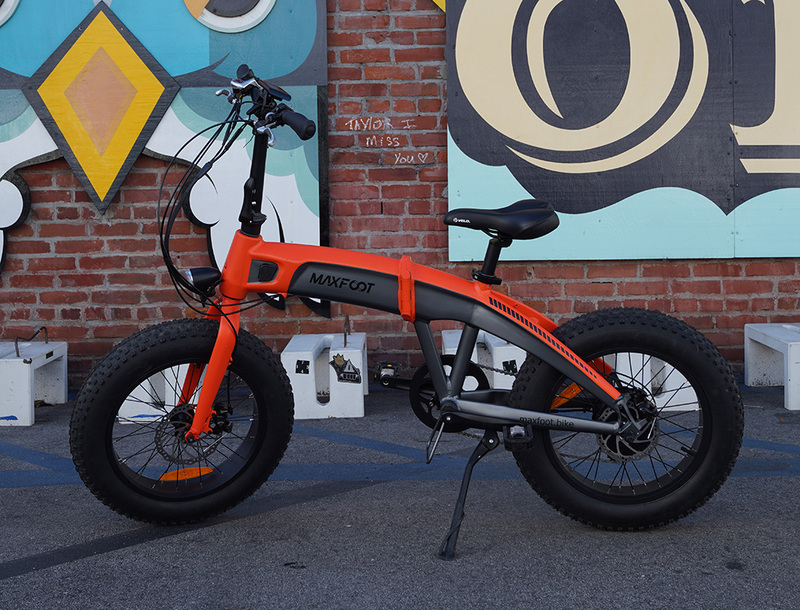 Click Here to Buy Now: $200 $275 (27% off) Hurry, only 1/10 left! 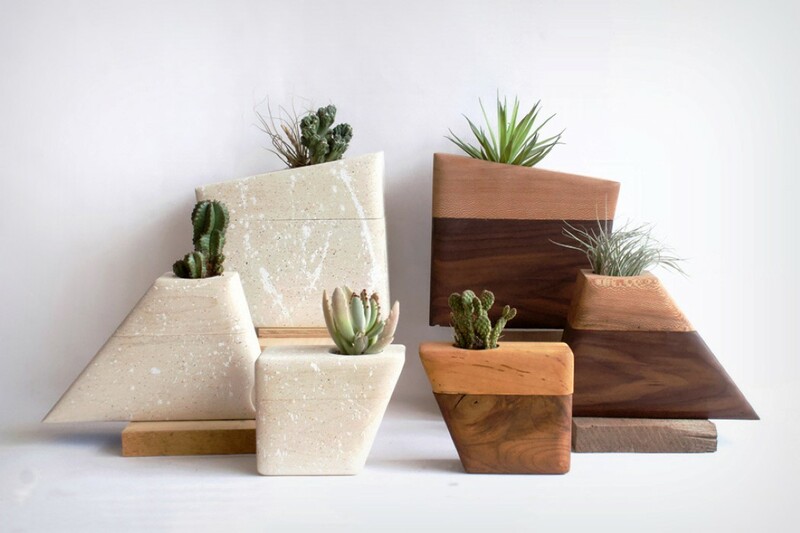 The Planturns is a handmade cremation urns that double as decorative planters. The top of the urn holds the plant, and the cremains are housed in the bottom. The top and bottom of the urn are secured by hidden rare earth magnets. The magnets are extremely strong, so even if the urn gets knocked over, the contents will be safe. Included with the urn is a hand waxed muslin bag to hold your loved one’s cremains. Muslin was chosen to echo traditional burial shrouds. All the Planturns come with a glass or ceramic holder for whatever you choose to put in the top of your Planturn. You can place an air plant in there, plant a low maintenance succulent, or change it up with the seasons. Designed to guide your child through their formative years of physical development and acquiring of motor skills, the Luma Rock & Roller is a fun, innovative toy that transforms from a rocker, to a walker, and then to a roller. 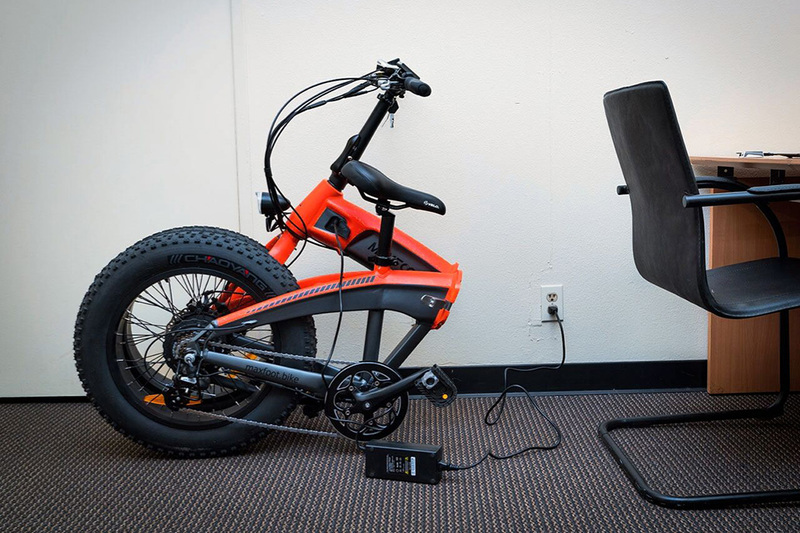 At its base lies its ingenious wheel-flipping mechanism that, with a simple flip-and-fasten, allows the Rock & Roller from being a rocking-horse to a toy with wheels. As children grow, they require new toys to match their level of learning and playing. The Rock & Roller, rather than being a toy that gets discarded after a year, grows right with the children, adapting to their needs. Designed to be played with from ages 9 months to 4 years, the Luma Rock & Roller serves first as a rocking-toy, entertaining children with its rocking motion but also developing them with balancing skills and an understanding of center-of-gravity. Once the child nears the age where they begin walking, the Rock & Roller’s rocking base flips 180° and the toy turns into a walker, allowing them to sit on the Rock & Roller and walk around aided by the wheels at the base. As the child grows in height, the Rock & Roller goes from being a walker, to being a roller-cart, allowing them to push their toys or siblings around, via a handle at the back. Designer Dzuy Linh created the Luma Rock & Roller specifically to be the long-lasting tech-free toy that acts as a child’s foundation for learning and growing. 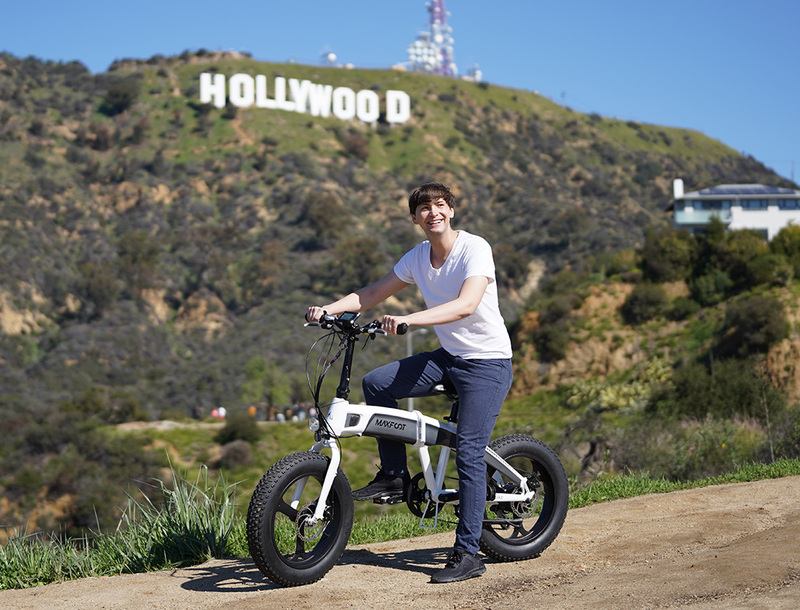 The Rock & Roller is, for that reason, designed to be durable, and last long, but at the same time also be eco-friendly, and as its designer Dzuy Linh points out, it has the minimum use of plastic in its construction. The Rock & Roller is built meticulously in Los Angeles, California. 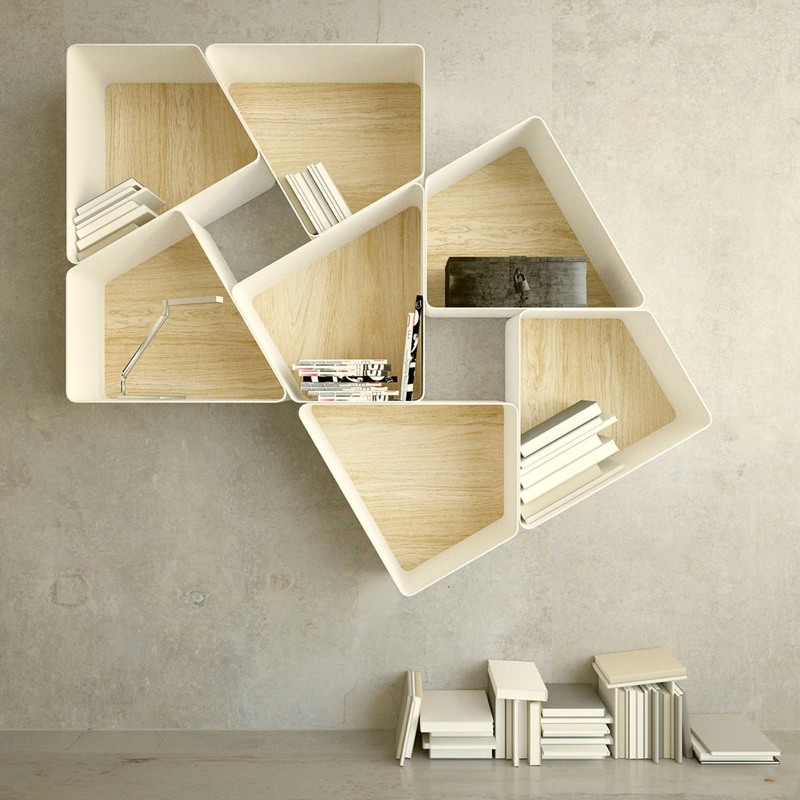 Fashioned from all-natural Baltic Birchwood, the individual pieces are CNC machined and then sanded, finished, and assembled by hand. 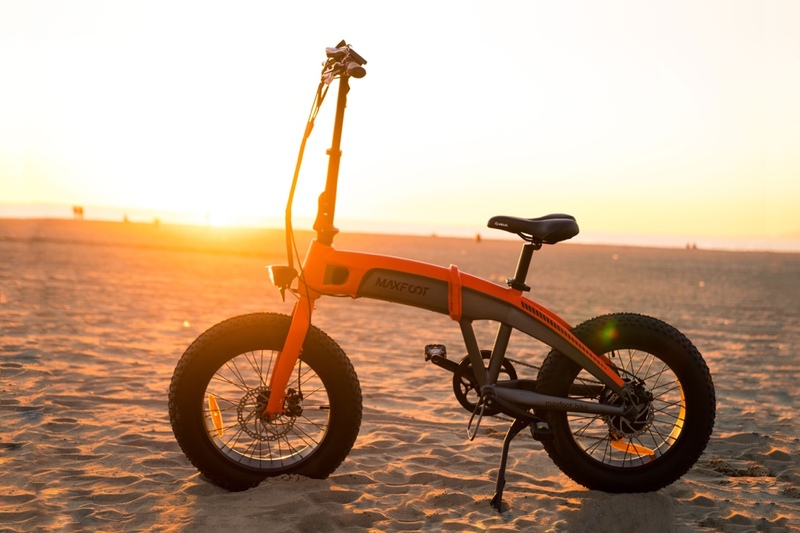 The wheels are adjustable to roll faster or slower, depending on the child’s (and parent’s) needs, and have a durometer rating of 89a, much like the wheels you’d find on most good skateboards. The Rock & Roller was specifically designed to be a playful toy that is, at its heart, durable and natural. Not using any plastic in the construction of the Rock & Roller’s body, Linh’s focus is on building a toy that will last a child for as long as it wants, and even skip into the next generation (like good furniture), but should you choose to discard it, the Rock & Roller will have no negative impact on the environment. Designed to go from a toy the child plays on, to the toy a child plays with, the Luma Rock & Roller rocks, rolls, and transports. 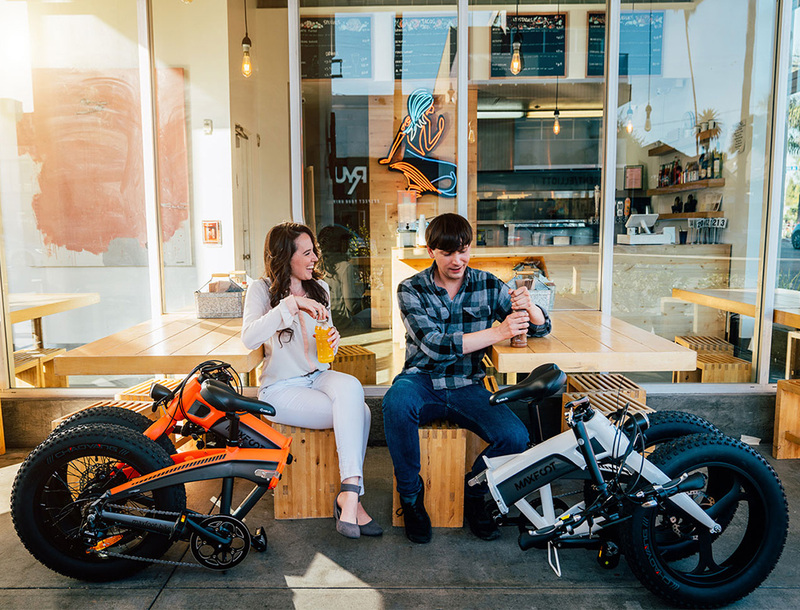 Aside from the seat on the top, the Rock & Roller even comes with a lower shelf that stores toys, functioning as both a pushcart when in motion, or a shelf when stationary! Click Here To Buy Now: $119 $200 (40% off). Hurry, only 3/10 left in Super Early Bird! The Rock & Roller is the most brilliant 3-in-1 rocker for kids! The eco-friendly rocker, walker, and roller converts between rocker and roller in seconds. 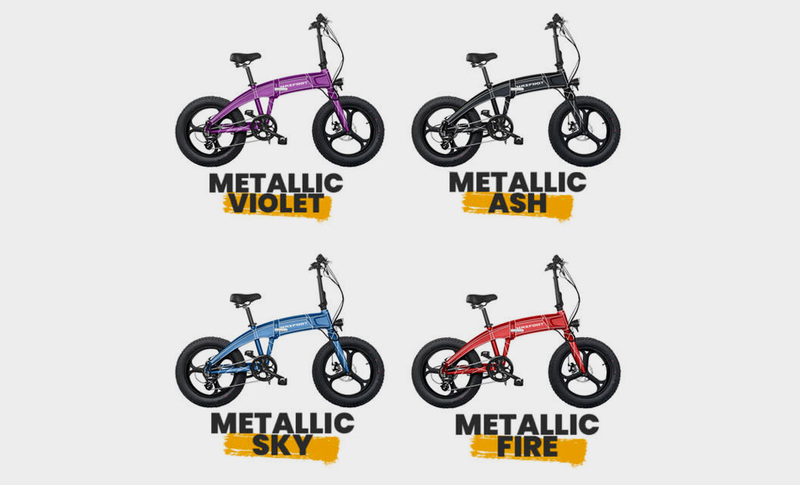 Designed for 9 months to 4 year olds, it first starts out as a rocker to help develop gross motor and balancing skills. As the child starts walking, it becomes a push walker to help with steady, evenly paced steps. After walking has been mastered, it becomes a ride-on roller car to sit on and push – either by someone else or with their own legs. The Rock & Roller is designed to quickly and easily switch back and forth between roller and rocker mode. Unscrew the locks, flip it over, and lock it back into place. It uses a locking screw on both sides for additional safety and avoids any accidental unlocking. The design is patent-pending. Their all-natural hardwood baltic birch is as good as it gets. It provides incredible strength and durability and critically important to them, it’s not plastic. 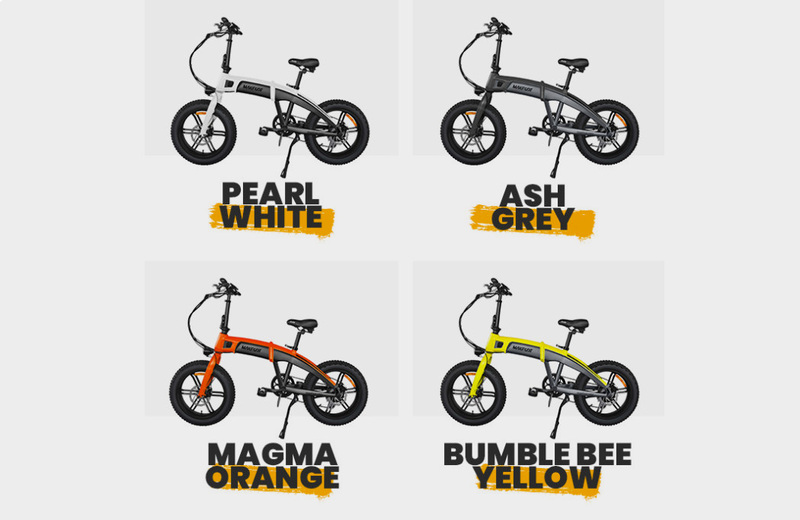 The wheels are adjustable to roll faster or slower, depending on the child’s needs. They feature ball bearing hubs with a wheel durometer rating of 89a for a long-lasting, sturdy ride. 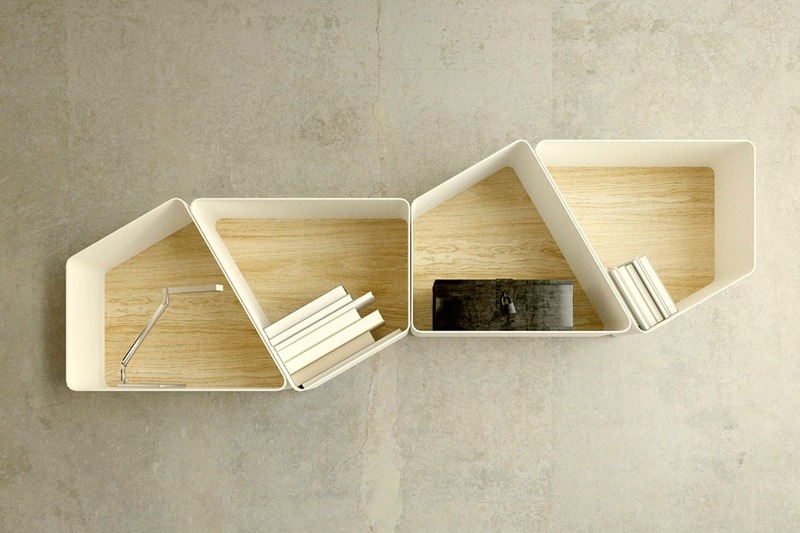 Has a built-in shelf to store and transport their favorite toys as well! Just like your contact-less payment cards stand a chance of being tapped into by a miscreant with a POS device, your car’s key-fob stands a risk of being hacked into, its signal being boosted or duplicated, and used to unlock your car. Ever since the introduction of remote-controlled key-fobs, car theft hasn’t decreased, but rather has seen a 56% spike according to the office of national statistics. The problem with key-fobs is that security for this is easy to compromise. People have been known to use jammers, replicators, boosters, and other easy-to-make devices that capture the codes your key-fob sends to the car, allowing hackers to replicate it to gain access of your vehicle, a practice known as key-fob spoofing. Now while automobile manufacturers are only catching up to these hackers, there’s a simple way of mitigating this problem entirely. A good old Faraday Cage. Designed to protect your key-fob from physical damage as well as digital theft, the KeyBlock is an RFID-blocking case that you can store the fob and keys in. The fob sits inside a compact, specialized hard-case enclosure, while the keys hang from it. Practically the size of your key-fob itself, you can carry the KeyBlock around with you. The RFID-blocking housing prevents spoofers and hackers from replicating the signature key-code your fob generates, and therefore denies them access to your car. When you DO need to use the fob, just open the box and slide it out using a slider built right into the KeyBlock’s side. An internal spring mechanism keeps your fob in place, preventing it from sliding out if held upside-down, and a small leash holds your keys too, letting you open your car the old-fashioned way, should you choose. Designed to be compact, the KeyBlock fits right into the palm of your hand, and can slide right into your pockets without adding any bulk. Crafted from fine leather, the KeyBlock can be customized to match your car style, allowing you to choose between different tans, finishes, from Tesla’s signature blue, to Aston Martin’s carbon-fiber print. It even comes with a customizable base, letting you engrave your name and phone number into the base of the KeyBlock, if it ever gets lost or left behind! Click Here To Buy Now: $39 $46 (15% off). Hurry, for a limited time only! KeyBlock is the world’s ultimate RFID case for your keys! KeyBlock not only keeps your keys safe from hackers, it prevents damage, keeps things together, has free personalization and will instantly upgrade any car key. Two thieves with commercially available transmitters can boost the signal from your key inside your house and gain access to your car in under 60 seconds. You wouldn’t buy a car that barely held together. Or shoes. Or windows. You lock your house door at night, not just roll a boulder in front of it. 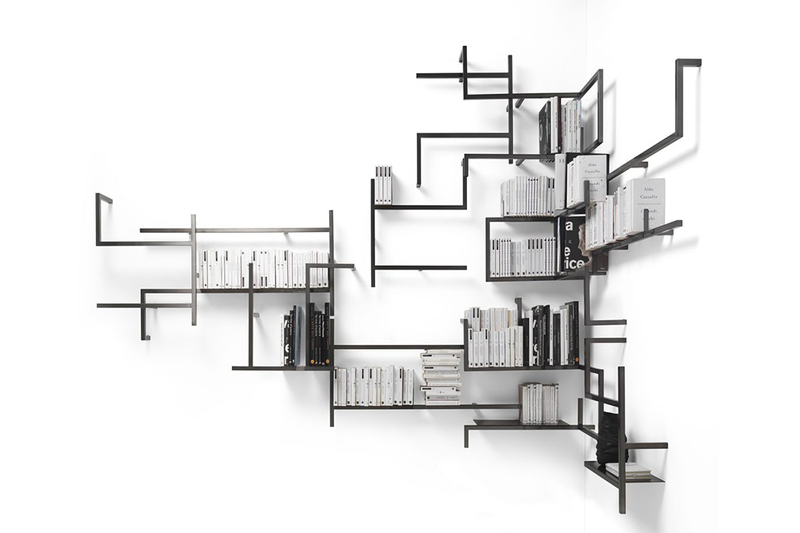 This is an elegant solution to an increasing problem. Unlocking your car at a distance is a convenience we don’t want to deprive you of. KeyBlock is easy to use single-handed, leaving your other hand free to carry the shopping, open the door for your partner or keep your child close. Why settle for some plastic or polyurethane cover? They have the actual leathers used in Aston Martin and Tesla models to cover your keys. You don’t compromise on security, so why compromise on looks? Multi-layered RFID shielding within a modern polymer housing, wrapped in wear-resistant leather. Security that doesn’t sacrifice style. For keyless ignition the key is ejected and held halfway with our patent pending internal mechanism. 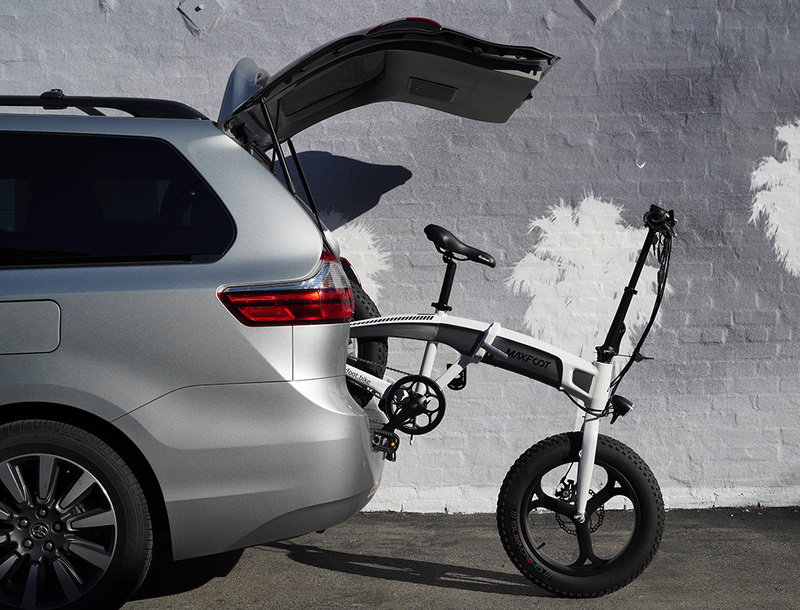 The single-button operation makes it a dream to use, so you can get on the road quickly and easily. They have incorporated a leather cap to hold your key secure. Simply pop it open, use the slider button and your key fob is there. Stainless steel as well, so it isn’t going to wear out. But what about your other keys, the ones that can’t be scanned (as easily, anyway)? A built-in split ring allows you the option of keeping all your keys together. 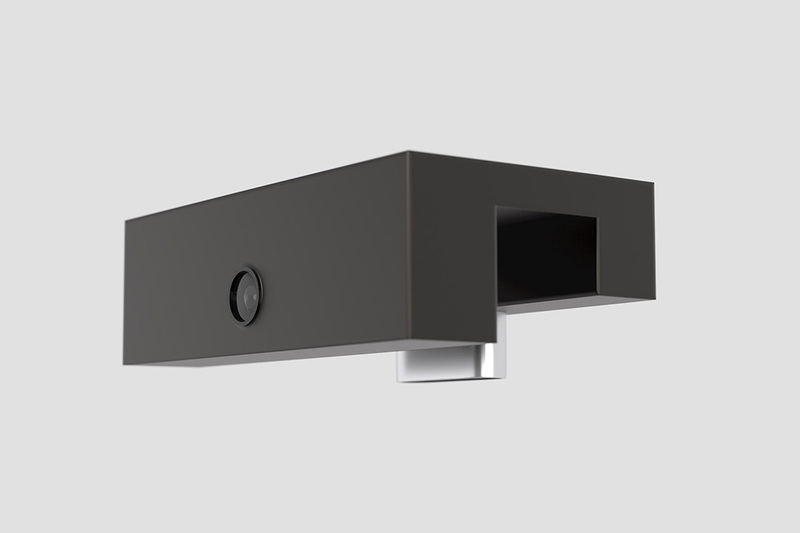 They wanted this to look great even when on the side board in your house, so they designed it to stand wherever it was placed, keeping your keybowl organised. Put your name on it, phone number, a message or a date. Whatever you like. Probably avoid your registration though. Gives the game away too easy. Now you can keep the key in as good condition as the day you bought it, all while keeping it safe. KeyBlock is sized to fit neatly in any pocket, whether suit, trouser or otter. The minute you ask the public what they want in the clothes they wear, the answers will surprise you. That’s what the guys at Baubax did. They put forward a questionnaire to their quarter-million backers from their earlier Travel Jacket project and the answers came back… People wanted clothes that were first and foremost comfortable and breathable (the next top request was for zippered pockets, FYI). Tasked with creating a perfectly comfortable line of clothes for traveling, Baubax created what they refer to as the world’s best travel pants. Designed and engineered for comfort, durability, dirt-dust-stain resistance, and an entire feature list that should put your wear-it-all-week joggers to shame, Baubax’s travel pants are comfortable, breathable, AND stylish. Available in four styles for each gender, the Travel Pants are here to reintroduce the fashion industry to the good old method of problem-solving. Baubax’s Travel Pants are made from their proprietary fabric, a blend of bamboo and merino wool. Bamboo fibers stay an average of 3 degrees colder than cotton, and are 3 times more absorbent (they’re also used in premium bed-sheets). Merino wool, on the other hand, has the ability to retain body warmth in the winters, and cool down by dissipating heat in the summers. Merge the two in a signature weave, and you’ve got a fabric that combines the sheer silky softness of bamboo and wool, along with the ability to stay breathable, and wick moisture, keeping you fresh at all times. Designed for travel, the pants are more than just comfortable and cozy. They’re engineered to be UV Resistant, anti-microbial, and anti-odor, allowing them to be worn for as long as 3 days without needing a wash. When you eventually do need to wash them, they wash easy and dry quickly. Designed to be the one pair of pants you’ll invariably wear any and everywhere, the guys at Baubax gave the pants a hydrophobic, liquid-repellent coating that protects them from accidental water, coffee, or wine spills. And when you’re not wearing them, the pants roll up to occupy lesser space in your suitcase than most pants, and are practically half the weight of denims. And they also armed the pants with pockets. Loads of them! With as many as 5 pockets, Baubax made their pants as functional as they’re comfortable and stylish. Built with 3 hidden zippered pockets, you can carry valuables around safely, without ever having them stolen. Women, you may not even need that bulky purse after all! Available across trousers, chinos, leggings and joggers, there’s a Travel Pant for every style, designed to be worn nearly every day, Baubax’s Travel Pants let you travel more, carry more, and be more carefree and comfortable while looking stylish in the same pair of pants for days. How’s that for problem solving? Click Here To Buy Now: $108 $160 ($52 off). Hurry, only 8/5000 left and raised over $2,000,000! The world’s best travel pants with 15 Features! These Travel Pants are made from a magical blend of Bamboo and Merino to offer you unparalleled comfort and functionality when you are on the go! The only pants in the world made from a unique fabric blend of insulating Merino and cool Bamboo. Baubax also armed the pants with pockets. Loads of them! With as many as 5 pockets, Baubax made their pants as functional as they’re comfortable and stylish. Built with 3 hidden zippered pockets, you can carry valuables around safely, without ever having them stolen. Click Here To But Now: $108 $160 ($52 off). 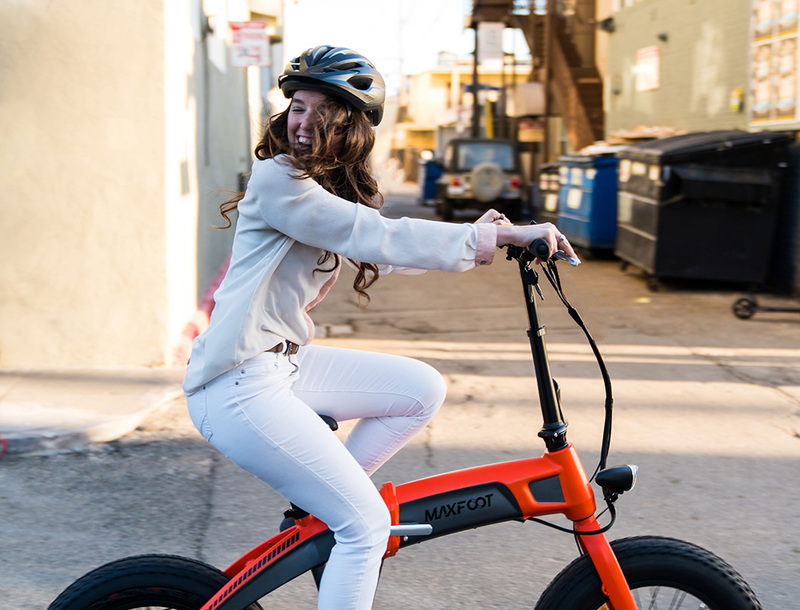 Hurry, Super Early Bird only 8 pants left!